The news broke late enough in the day that civic leaders across North America called in their economic development staff for emergency meetings. 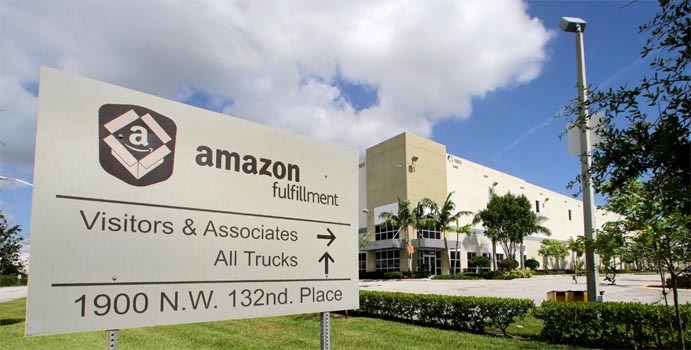 Amazon announced yesterday it was seeking a second headquarters in North America and any city with a planning department suddenly wanted in on the mega growth promised by the monolithic Internet retailer. An Amazon expansion doesn’t just bring jobs; it creates its own economic sector and reshapes large parts of the city and region. Toronto is considered among the most likely to be selected. To run a Seattle-sized headquarters and fulfilment center, Amazon will need somewhere near 50,000 workers with skill-sets ranging from white color corporate executives, mathematical virtuosos, and robotics experts to warehouse foremen, forklift operators, stock pickers, and an even larger fleet of truck drivers. That’s a lot of people with a lot of different types of education, training, and certification. Toronto is easily able to attract a sufficient number of applicants for any open position regardless of requirements it won’t be difficult for Amazon to staff up to scale quickly and efficiently. Each of these newly employed Amazon employees will need services from a wide range of professionals and service providers who, in turn, will need to employ more people themselves. One can imagine why every municipal economic development planning department was burning the midnight oil last night. This is a transformative opportunity that comes around once in a decade for most cities. Toronto’s proximity to the United States is another of the several good reasons to select it. Toronto is the closest large regional hub outside the United States. Amazon is perhaps the most complex technology business operating and thus needs to be able to employ the best thinkers in the world. The current American administration is purposefully denying companies like Amazon access to those thinkers as it limits their ability to immigrate to or learn in America. As Toronto is in Canada, the current American administration’s immigration policies aren’t as much of a threat. Though they are unfortunate circumstances, oppressive American immigration policy has benefited the science and technology community in Toronto in extraordinary and unexpected ways. Several other large American technology firms such as Google, Uber, Apple, and eBay have opened or moved research and development operations to Canada in order to offer their employees the safety of a welcoming and inclusive society. As larger tech firms move north, a whirlwind of economic and intellectual activity moves with them. Toronto, Vancouver, Montreal, and Calgary (and the greater regional areas they anchor) all report unprecedented growth in tech investment and employment over the past six months. Toronto is thought to be the new “mid-Atlantic” city, a characterization coined by Thomas Wolfe to describe the relationship between New York and London in the post WW2 social and economic structure. Now that both London and New York are the leading cities of suddenly insular nations, Toronto is increasingly being touted as the emerging financial center bridging Europe and North America. As Amazon moves towards expanding its operations in Europe, multicultural and multilingual Toronto is a natural choice. Even if you or your business isn’t directly affected by Amazon or other large-scale Internet powerhouses, the movement is a seismic shift that will lead to an expansion of business opportunities throughout the city and region. It has certainly been beneficial for the Telsec Business Centres with locations in Toronto and other cities across Canada. Inquiries from American companies about office space, virtual offices, and professional office services are increasing and more office spaces, boardrooms, meeting rooms, and training or seminar rooms are being booked.